Skaneateles in the Finger Lakes region of New York boasts some of the best destinations in the world for outdoor recreations, incredible scenery and fantastic local events including 160 wineries in the area. In other words, this is the perfect combination of activities for an adventurous or relaxing escape. Finger Lakes vacation rentals run the gamut of small Bed and Breakfasts, standard motels, chain hotels, but none can compare with Skaneateles Luxury Rentals. After a long, cold winter, our thoughts turn to vacation and relaxing times in special places. 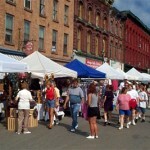 There are numerous places to stay in the Finger Lakes region. Many people are now gravitating to the entire experience of having their own private retreat with well-appointed surroundings all within a short distance to local attractions, restaurants and downtown amenities. 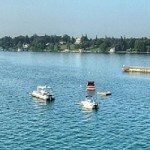 Skaneateles Luxury Rentals offers eight luxury vacation rentals to choose from. Each property is either totally renovated or brand new, fully furnished and just minutes from in town, the lake, and the fabulous attractions in the Finger Lakes area. Motels and hotels, though clean and well located are impersonal for the most part and lacking in that at-home, comfortable feeling. You will never feel like just a room number when you take your next vacation in Skaneateles at one of the lovely homes offered at our Skaneateles luxury vacation rentals. Staying in a motel or hotel can be a rather bland experience without room to enjoy the weather, invite friends over or relax in a comfortable space. There are so many wonderful opportunities to really settle into the area and Finger Lakes vacation rentals could make your stay a most memorable one. Just think, your own entire house, loft or cottage, fully appointed and ready to just settle right into. Have an evening barbeque, invite your friends, relax in a spacious area and enjoy the entire experience without feeling cramped and isolated. In addition to being right on the water, you will love everything that the Village of Skaneateles has to offer. You’ll discover when you visit this area for yourself. It’s so conveniently located that you are able to walk anywhere that you want to go. You can walk out the door and straight to the lake. And of course, there are plenty of opportunities to dine, shop, experience wine tours, go boating, swimming and fishing all within close proximity of your Skaneateles luxury rentals. With eight properties to choose from, all the luxury vacation rentals we manage are meticulously maintained and beautifully furnished. When you stay here with us, you can count on being comfortable and having all the amenities you need to enjoy the best vacation ever. This vacation, consider the special vacation opportunity you could have in the Finger Lakes region by staying in a luxury vacation rental in Skaneateles. Your vacation should be a memorable one with plenty of rest, relaxation, and the ability to interact with all the local attractions that suit you. No matter what you need on this vacation, contacting Skaneateles luxury rentals will provide you a perfect retreat and a fabulous time in the area. Contact us today to make your reservations for one of our rental properties.